The joint event that took place Tuesday 28 February 2017 at HUSA President Park on a common information space was a great success. 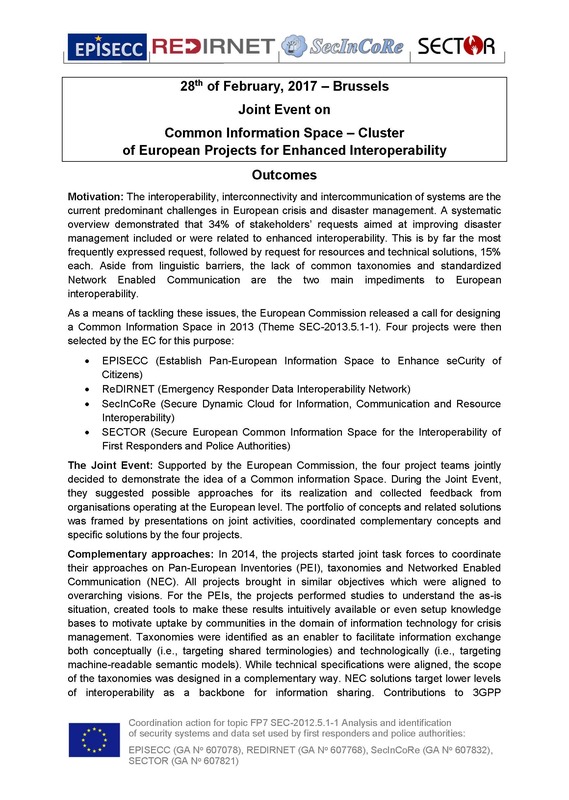 The EPISECC project, along with the SECTOR, SECINCORE & REDIRNET projects gathered to respond to the European Commission’s call to develop a Common Information Space (CIS). 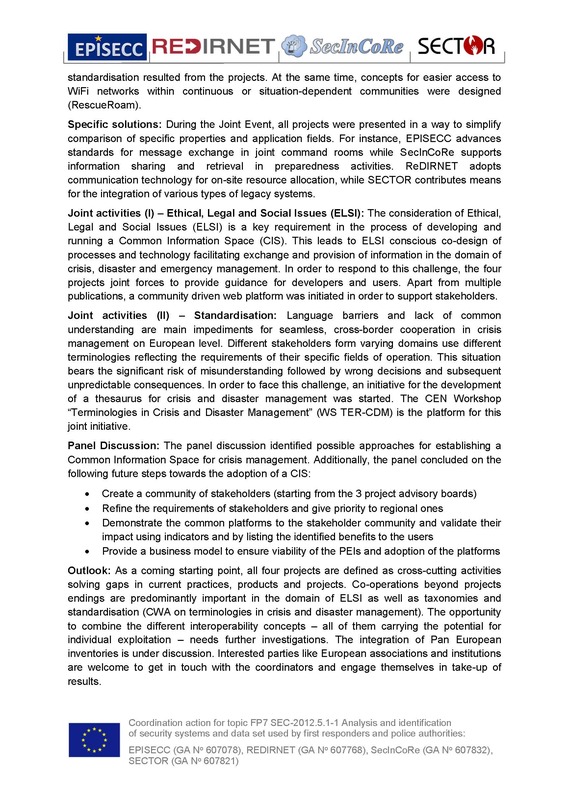 Each project presented its own conceptualization and approach of a CIS. It resulted that, although the 4 projects started from similar grounds, they ended up with different conclusions and a variety of applications, thus making the exchange of information adapted to a wide range of users’ needs. More generally, the event constituted a great occasion to reflect on the work that has been done during the past years, in front of an audience composed of EU officials and PPDR practitioners. A more comprehensive report of the meeting will be available shortly.